A school in the UK has taken aim at a Black boy’s faded hairstyle that hides his traction alopecia and ordered his hair to be cut, reports Birmingham Live. The boy’s mother Danica is upset that Summerhill Primary Academy in Tipton, deemed her five-year-old son Josiah Sharpe’s hairstyle as an “extreme” haircut that goes against the school’s hair policy. Danica calls the school’s policy “harsh” and e policy was “culturally biased” and she said the school is “dictating a hair style that’s not suitable”. 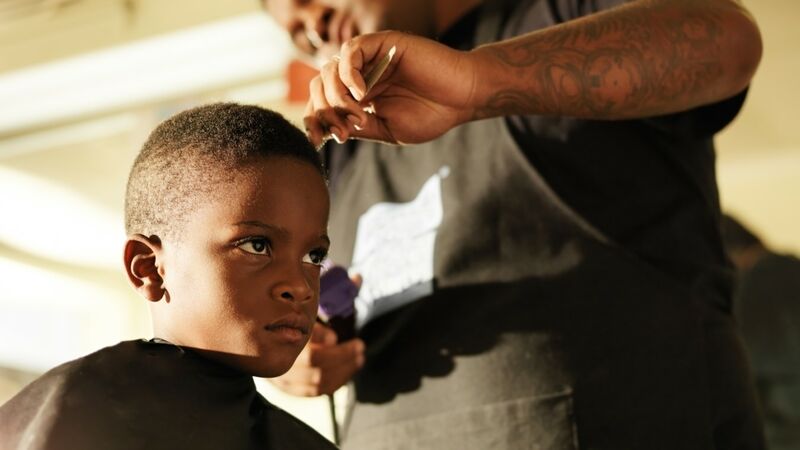 “The hair policy lacks cultural awareness as a grade two haircut is not fair for Josiah’s type of hair and others from different racial backgrounds,” said Danica who is a har stylist. “In the Afro-Caribbean community, if a boy’s hair is not long and plaited, or put in dreadlocks, we are expected to cut the hair very short for a smart tidy appearance. “It’s not a fashion statement, in our culture hair at a grade two or three is regarded out grown and untidy for a curly/coiled hair type. “If your put a Caucasian grade two haircut and an Afro-Caribbean grade two haircut side by side, you will get two very different appearance which will become even more evident as it grows. “He’s been having this haircut since he was one. The only time the school had said anything about it previously was when he was in reception and he had a patch on the back of his head. It wasn’t there intentionally, it was because he’d moved while at the barbers. “I’ve explained it all to Josiah but he’s confused about why he’s being singled out. She continued: The policy states ‘shaved heads or hairstyles that are deemed by the school to be extreme, are not acceptable’ and ‘hair should be no shorter than ‘number two’ length. “Unfortunately, Josiah’s hair has been styled in line with what we understand to be the ‘skin fade’ style. His hair is tapered around the back and sides to what is known as ‘zero fade’ or ‘bald fade’. “Therefore, the manner in which Josiah’s hair is styled, falls below the grade two length as set out in our policy. Rochester said she has also consulted with Afro Caribbean hairdressers about the matter. “The family has had, in accordance with the school’s complaints policy, opportunities to state their concerns, both in writing and via a meeting,” she said. “Responses have been provided to the family at each stage of the complaints process, and it’s unfortunate the family have taken this approach before the internal processes have been exhausted. Rochester denies Josiah’s hair condition. “The school has no record of any medical conditions the child suffers from, on medical forms provided by the parents, however as with other children in our school, when presented with medical information we are more than happy to work with parents to discuss amendments to policy, if this is deemed necessary and appropriate. “We take our school policies and rules extremely seriously and impress the importance of both within our school community. “Unfortunately, if the family continue to ignore the school rules then appropriate sanctions have to be made.